Whether you’re sailing for pleasure or competition, just beginning or an old sea dog, there’s a welcome slip for you at the North Shore Yacht Club! Available exclusively for NSYC members’ use, our fleet of sailboats includes a large selection of Sunfish, a handful of 420’s and a Buccaneer 18. We practice the safe “boating with buddies” system where no one sails alone and a PFD is required to be worn on the water at all times. We offer racing and skill clinics throughout the summer, Thursday evening informal racing and Sunday afternoon formal racing. 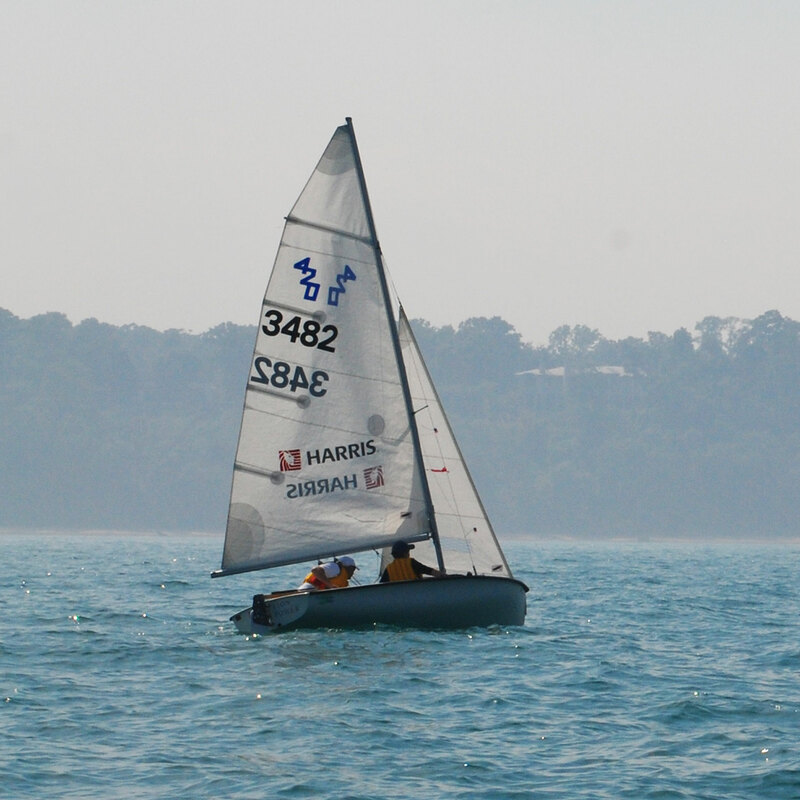 We are home to the North American Buccaneer 18 Racing Fleet #54, (https://www.facebook.com/groups/18Buccaneer ) with opportunities to learn and crew on these larger boats. Own your own boat? Beachfront storage is available directly through the Park District of Highland Park. See our Membership page for our affordable membership rates and the full list of club benefits. NSYC is proud to host the prestigious annual SUMMERS END Regatta, where trophies and prizes are awarded for a variety of classes and top placements. Check our Events Calendar. Be sure to join our NSYC Google Groups, our main member communication tool for up to the minute sailing hook ups, race results, club news and important announcements. We offer a 7-week Learn to Sail weekend course supervised by our US Sailing Certified Instructor. Registration is required and class size is limited. Sign up early! Rigging a Sunfish – is easy and if you need to remember some of the details check out this NSYC video: YouTube - Rigging a Sunfish. Probably the best short video out there on how to rig a Sunfish! 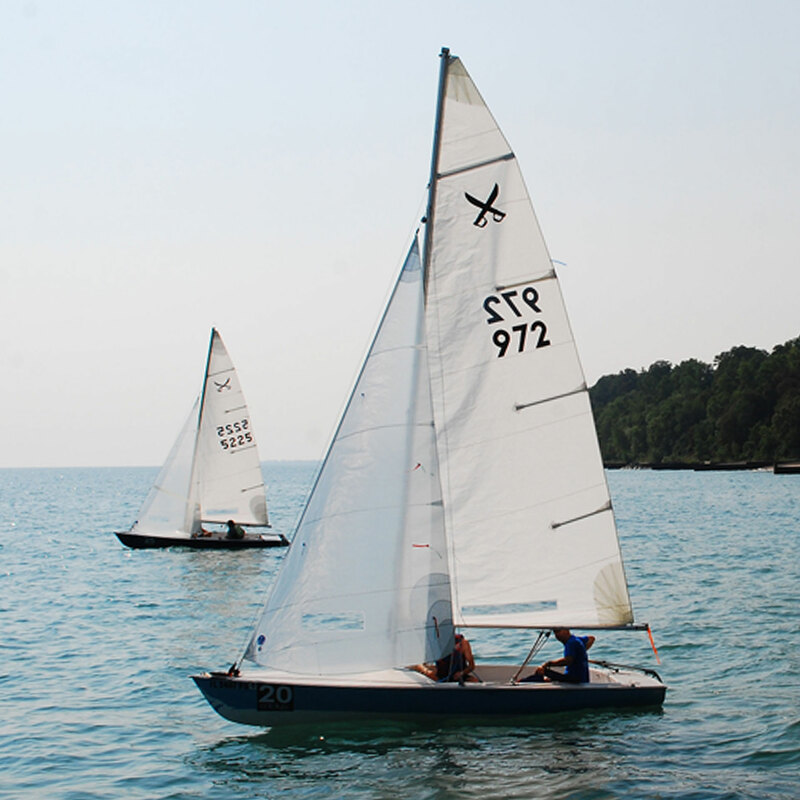 Sunfish sailing is one of the main activities of the North Shore Yacht Club. The Sunfish is a 14 ft, beach launched sailing dinghy generally sailed by one person. With a single triangular lateen sail, a simple rig, and a wide beam, the stable Sunfish is the most popular fiberglass sailboat ever built. Both youth and adults enjoy this beautiful boat. If you're looking for lots of tiller time, pleasure or racing, this is the boat for you! NSYC is home to North American Buccaneer 18, Fleet #54. The Buccaneer is uniquely matched to the conditions afforded by Lake Michigan, and the fleet has been sailing in Highland Park for over 35 years. The Buccaneer 18 is a fractional sloop rig day sailor with roller jib furling, spinnaker, and a main sail. The Buccaneer is simply a perfect boat for day sailing as well as racing. The 420 is a double-handed (2 crew) monohull planing dinghy with centerboard, Bermuda rig and center sheeting. It is 4.2 meters long, hence the name 420, and can be sailed single-handed. The hull is fiberglass with internal buoyancy tanks. The 420 is equipped with spinnaker and optional trapeze, making teamwork necessary to sail it well. 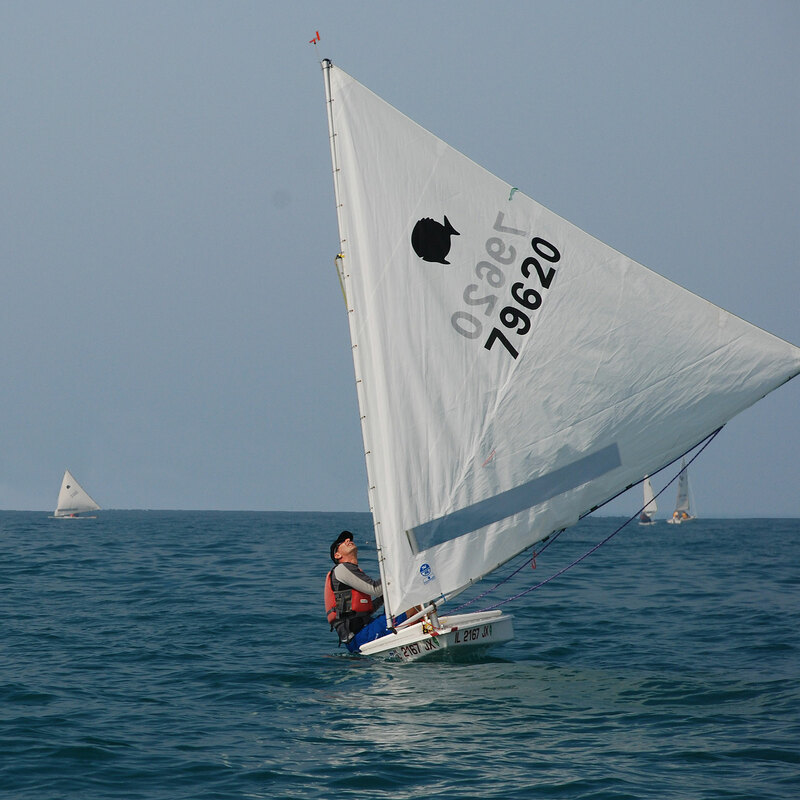 It has a large sail-area-to-weight ratio, and is designed to plane easily.